We partner with most major insurance companies and offer lifetime warranties on all repairs completed. If your car was recently involved in a collision, you shouldn’t trust just anyone to make repairs to it. Instead, you should call on a trusted family owned and operated business like Chad’s Collision Center to get the job done. We’re an auto collision and repair shop that specializes in supplying collision and paint services to those in Baton Rouge, Central, and Denham Springs, LA, as well as the surrounding areas. We also have more than two decades of experience when it comes to working with auto insurance companies and can help you file a claim following an accident and get your vehicle back on the road in no time. At Chad’s Collision Center, we use the latest top-of-the-line automotive paint and collision equipment. 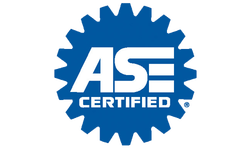 We’re also I-CAR Certified and ASE Certified and provide a lifetime warranty on the work that we do for as long as you own your vehicle. From small compact cars to large SUVs and everything in between (including both domestic and foreign automobiles! ), Chad’s Collision Center can set you up with the services you need to bring your vehicle back to life. When you call on Chad’s Collision Center to provide you with collision and paint services at our auto collision and repair shop in Baton Rouge, LA, we’ll always begin by welcoming you in and offering you a FREE estimate. We’ll also get in touch with your auto insurance company if you’d like to arrange to have your vehicle repaired. We’ve partnered with most major insurance companies at this point and can help take the stress out of the collision repair process for you. Most importantly, at the end of it all, you’ll drive away in a vehicle that looks and drives even better than it did prior to your accident. Call Chad’s Collision Center at 225-243-5742 today for collision and paint services in Baton Rouge,Walker, Central, and Denham Springs, LA.